We wanted "PfP" to be a beautiful book full of articles and tutorials that you can keep for a long time to refer back, learn, and get inspired. It's not a "throw away" magazine. it's printed on thick, glossy paper with a gorgeous thick protective cover. We would love for you to try one... or subscribe today! Here's where you can login to see your print subscription purchase, cancel, or change your billing information at any time. 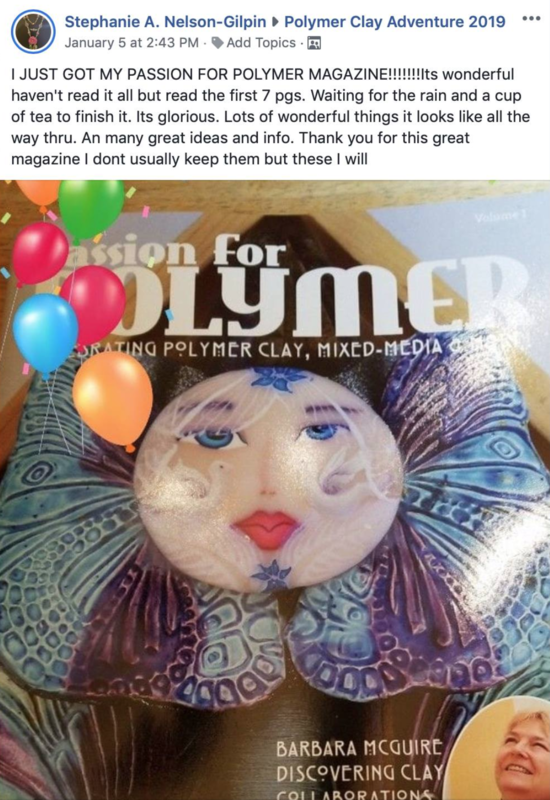 The Response to the Volumes in print has been Incredible, Thank you so much for supporting our Passion for Polymer! PassionVolume1pagepre from polymerclaytv on Vimeo. Please read this to understand how the print and digital issues will work and why we made this decision. We did a survey in our Facebook group http://www.polymerclaytribe.com and overwhelmingly most chose that they would prefer print for tutorials. So we wanted to offer Passion for Polymer both ways so everyone can join in. 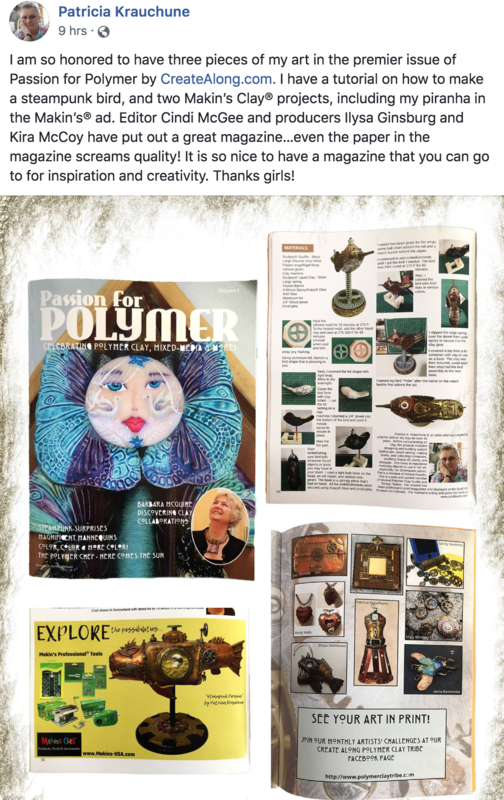 We also have many digital subscribers currently with Polymer Clay Universe and we wanted to continue to give them their monthly digital magazine. The digital is perfect for those who like to take their iPad or tablet into their work space and it’s great for international customers since shipping is so expensive. However there is nothing like being able to skim through and touch a book or magazine. We made the decision to make these high quality and that our magazine would be more of a book format with thick heavy covers and heavy paper so it doesn’t rip easily and can become a part of your library that you can refer to. The way we have these bound you can open to a tutorial and it will stay open and lay flat. Also print is very easy to take with you on the go especially when you can’t be or don’t want to be connected. 1. 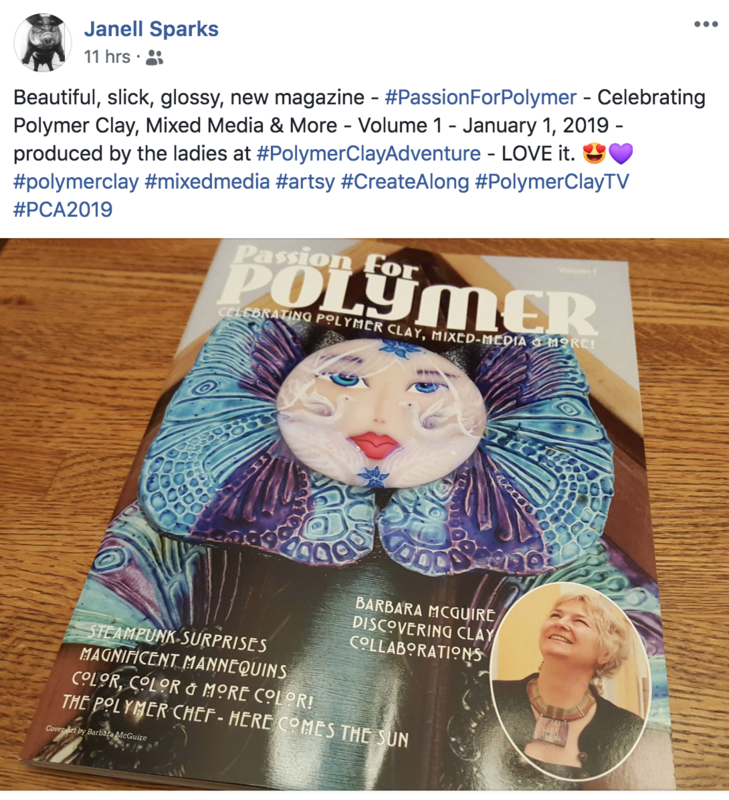 If you are currently subscribed to the digital format of Polymer Clay Universe you will continue to get a new issue every month it will just be called Passion for Polymer going forward. As long as you stay subscribed you are locked into the price you currently pay. If you cancel and decide to re subscribe you will be billed at the current price. 2. The print issue will be printed 6 times a year, every other month. The digital issue will have the same contents. 3. The months that are only digital will be additional bonus content only available if you subscribe or purchase the digital copy. *If we have any extras after printing we will sell those in the shop. This is going to be an amazing journey and we look forward to sharing our Passion for Polymer with you! everything polymer clay and mixed media related! Hundreds of digital subscribers and print magazine readers are waiting to hear about you! Please fill out the form linked here so we have your payment info after your article is published. Thank you!